Melt butter in sauté pan. Sauté corn for approximately 1 minute or until warmed through. Add onion and red bell pepper cook for an additional 1 minute. Sprinkle corn relish with Ring of FireAll Purpose Seasoning and toss until well coated. 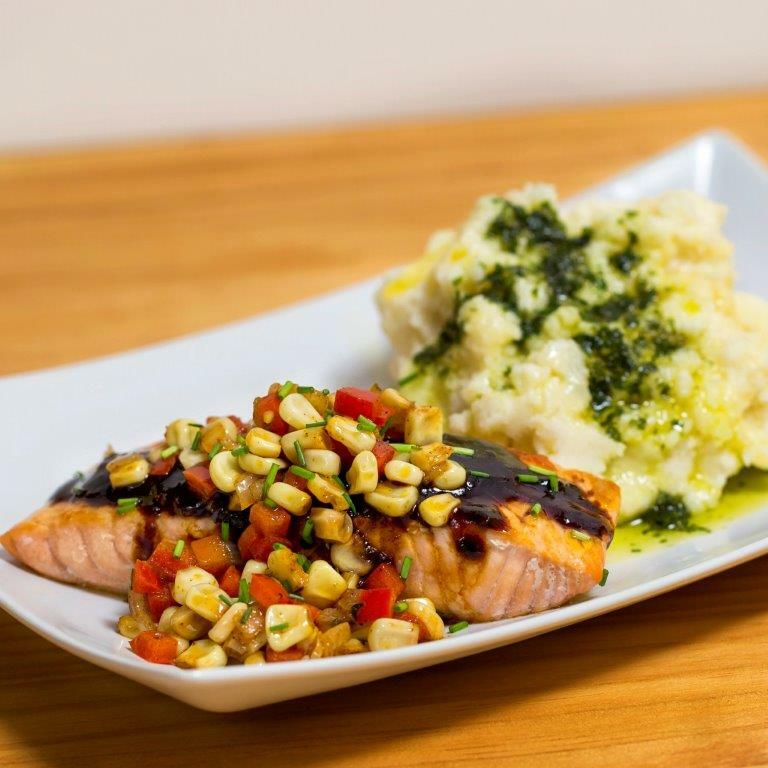 Remove pan from heat and top BBQ Salmon with corn relish. Note: This corn relish makes a great side dish. In a sauté pan over medium heat, melt butter. Place salmon fillets in the hot pan and cook for approximately 4 minutes. Turn fillets over and cook for an additional 3 minutes. Remove from the pan. Place each salmon fillet on a plate and top with 2 tbs. Ring of Fire ® Steak Sauce. Finish each filet with Ring of FireWhite Corn Relish.